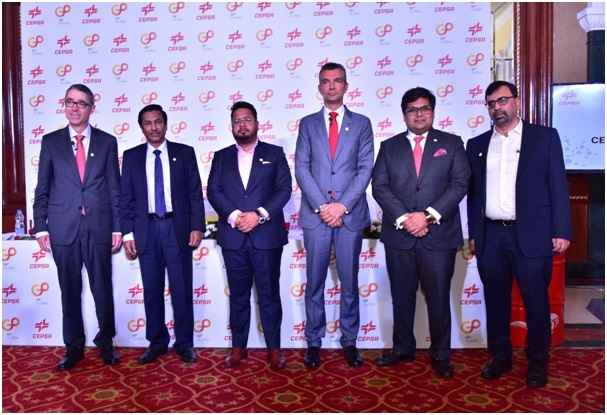 GP Global Energy Private Limited (GPGEPL), part of UAE-based global conglomerate GP Global on 18 July said it had entered into an exclusive partnership with Cepsa, integrated Spanish oil major, to make and market Cepsa’s marine and power generation lubricants in India. As per the agreement, GP Global will manufacture, blend, package and even import Cepsa branded lubricant products in India. “India is a huge market for ports modernization and coastal shipping development. Major initiatives have been taken in this direction by our government. This partnership is our contribution to the governments Make in India vision and the vibrancy of the sector is a clear sign of resurged interest in its potential. Cepsa is a well reputed international brand and will be a good fit for our portfolio” said Mr. M Prabakaran, Global Head of Terminals & Country Head, GP Global Group, India. “This partnership will strengthen Cepsa’s international brand and the expansion of our lubricant business; this will be the first time our lubricants will be produced outside our plants in Spain, as the facility in Mumbai has been the first approved by us after a rigorous and successful audit process. GP Global complies with our highest standards requirements, occupies a strong position in the Indian maritime industry, and has in-depth know-how of the lubricant and bunkering businesses” said Mr. Álvaro Díaz Bild, Vice President – Marketing, Cepsa. “Cepsa marine and power generation lubricants, as well as the wide Cepsa’s lubricants portfolio, are currently exported from Spain to different countries. 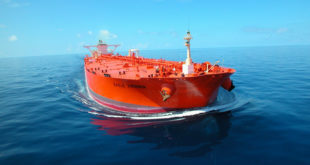 The partnership with GP Global will provide the necessary framework to enter into the Indian market as the company has wide experience in the marine market, especially in bunkering” said Mr. Carlos Giner, Director of Lubricants, Base Oils and Paraffin Waxes, Cepsa. This partnership will also strengthen the in house R&D facilities at GP Global and develop technologically advanced products in India. The product range includes Cylinder Oils, System Oils, Trunk Piston Engine Oils, Hydraulic Oil, Gear oils, Greases and other specialty lubricants required by this industry. Cepsa marine range of products include Cepsa Larus, Gavia, Ciconia and Petrel lubricants, among others. 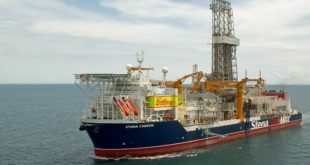 Cepsa is a global energy company with integrated operations across the entire hydrocarbon value chain, manufactures raw materials for the chemicals industry from natural sources, and has a renewables business. The Company has over 85 years of experience and a team of close to 10,000 professionals. Cepsa has a diversified portfolio of lubricants, base oils and paraffin waxes, which it has marketed in over 80 countries since 1950 with a specialized sales team. Currently is one of the leading companies in manufacturing and selling finished lubricants and base oils in Spain and exports products to Europe and other expanding markets, such as Latin America, Middle East and North Africa and Asia. It has two specialized lubricants plants in Spain, in San Roque (Cadiz) and Paterna (Valencia), which also produces hi-tech coolants. GP Global Group is a leading player in oil industry with a vision to be an integrated multinational energy organization, driving growth with development projects spread across different continents. GP Global (earlier named Gulf Petrochem) has firmly established itself into strategic business units viz. Refining, Storage terminals, Trading and Bunkering, Bitumen Manufacturing, Lubricant and Grease Manufacturing, Shipping and Logistics. 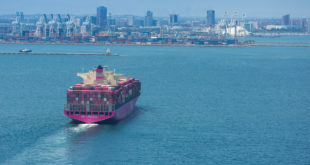 GP Global operates as a physical supplier as well as provider of Bunkers at Worldwide ports. They are currently supplying physical bunkers in Fujairah, Khor Fakkan, Singapore, Rotterdam and also other UAE ports by our own bunker barge in port and at sea. Across the Indian coastline they are present as physical supplier as well as Bunker traders catering to needs of various clients from across the globe. They are the most prominent bunker suppliers across all Major and Minor Ports of India. To expand their footprint into marine business, GP Global Energy Private Limited, India had entered into an exclusive partnership with Cepsa to make and market Cepsa’s marine and power generation lubricants in India. 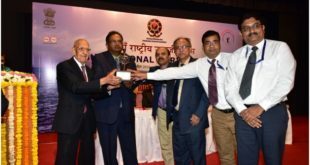 GP Global Energy will be manufacturing the Marine lubricants through a contract with its group company GP Petroleums Limited in their plant at Vasai, Mumbai, which is already engaged in blending Automotive and Industrial lubricants over the last four decades. The plant has state of the art R&D and QC facility for product development and consistency. The plant is certified with ISO 9001, ISO 14000 and OHSAS 18001.